After the success of 2016's inaugural event the London East Asia Film Festival returns for a second year. Featuring 50 screenings across ten cinemas over 11 days, from 19–29 October. Celebrating films from South Korea, Hong Kong, Taiwan, Japan, China and Southeast Asia. There will be seven international premieres, seven European premieres and 13 UK premieres plus shorts, classics, Q&A sessions and rare UK screenings. 2017's theme is time and the perception of time, with period dramas, a Hong Kong retrospective, sci-fi and a celebration of a centenary of Japanese animation. Other strands include Stories of Women, Fantastic Film Festival Focus, the LEAFF Official selection and the Competition Section which flags up the work of new directors (with three features or less to their name) judged by a panel of industry experts with the award presented at the closing gala. 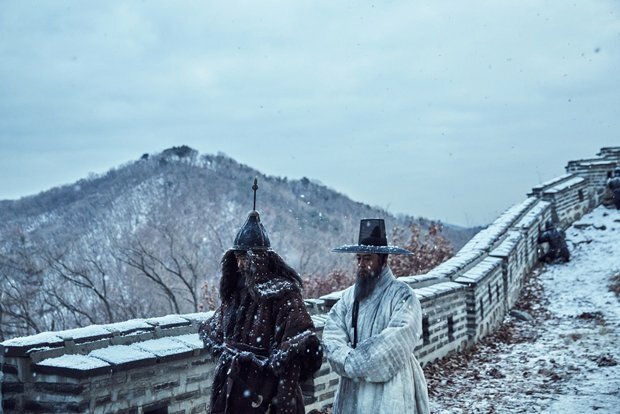 The opening gala screening will be Hwang Dong-hyuk's The Fortress which tells of the siege of King Injo in the mountain fortress city of Namhansanseong in 1636. Outrage Coda, the third and final part in Takeshi Kitano's Yakuza trilogy, will be the closing gala on Sun 29 Oct. Other highlights include time twisting sci-fi Reset; animated noir Have a Nice Day, classic undercover cop thriller Infernal Affairs; drama The Receptionist, about a London brothel as told through the eyes of a Taiwanese receptionist; creepy horror The Mimic and the first ever UK 3D screening of martial arts epic The Grandmaster. London East Asia Film Festival, various venues, London, Thu 19–Sun 29 Oct.
A film festival celebrating the cinematic landscape of East Asia, celebrating films from South Korea, Hong Kong, Taiwan, Japan, China and Southeast Asia. There will be international, European and UK premieres plus shorts, classics, Q&A sessions and rare UK screenings.